This is a handmade card that I am making for one of my upcoming Stampin’ Up! Valentine’s classes. 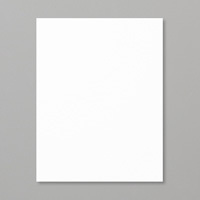 This is one of the new sets from the upcoming Occasions catalog that has all the great products for the Spring! The card layout is inspired by this week’s MoJo Monday sketch. 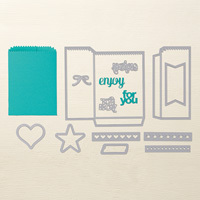 Here are the details for this card made with the Hello Life Stamp set from the upcoming Occasions catalog. 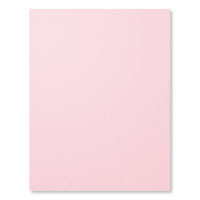 Cardstock: Melon Mambo, Whisper White, Pink Pirouette, Soft Suede and the Back to Black Designer paper. 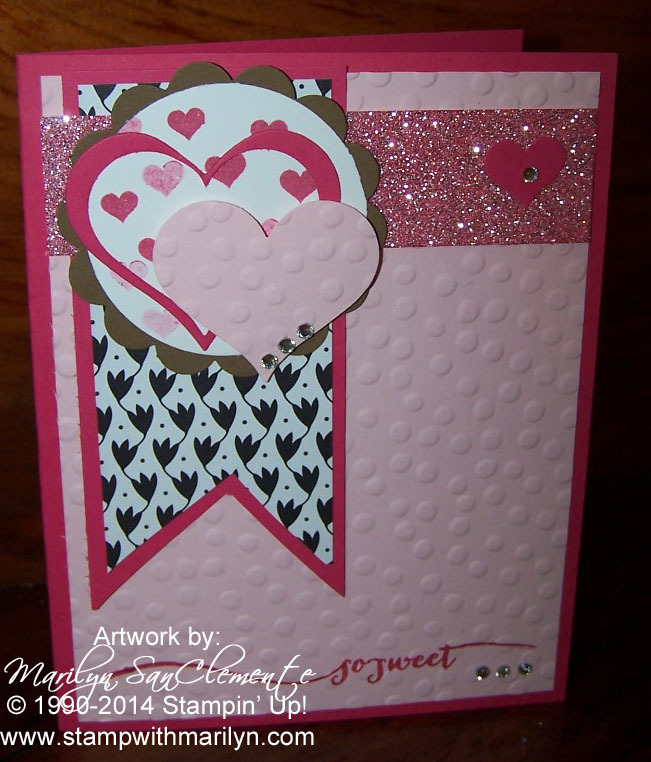 The background is a piece of pink pirouette cardstock that has been stamped with the so sweet stamp from the Hello Life stamp set and then embossed with the decorative dots folder. 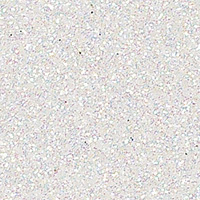 Marilyn’s Tip for today: Did you know that you can color Dazzling Details glimmer paper with Blendabiltiies? 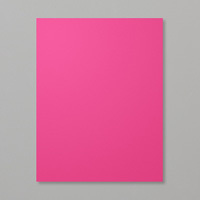 I colored the strip of Glimmer paper with the melon mambo marker to blend in with the pinks in this paper. The scallop circle for the card focal point is cut from a piece of soft suede cardstock with the 2 3/8″ scallop punch. 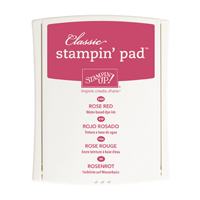 The whisper white layer is cut with the 2″ circle punch and stamped with the two little hearts using Rose Red ink. Don’t you love the outline image of the Heart?? 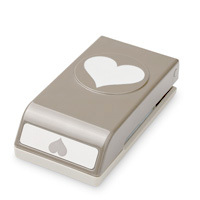 To make this outline Heart shaped piece: punch out a scrap of Melon Mambo with the Sweetheart punch and then used the Heart image from the Mini Treat Bag Thinlits to cut around the cut out image. That creates the outline of Heart image. 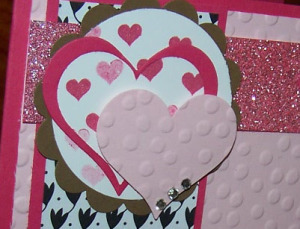 The pink pirouette heart is punched with the Sweetheart punch and is embossed with the decorative dots embossing folder. And of course every card needs a little bling. So I added a few rhinestone jewels along the bottom edge of the heart and along the bottom below the so sweet sentiment! Like this card? This is just one of 15 Valentine’s projects that you can receive for the month of January by joining my Stamper’s Club. Check it out here!